37 C.F.R. 1.103 Suspension of action by the Office. Suspension of action (37 CFR 1.103 ) should not be confused with extension of time for reply (37 CFR 1.136 ). It is to be noted that a suspension of action applies to an impending Office action by the examiner whereas an extension of time for reply applies to action by the applicant. In other words, the action cannot be suspended in an application which contains an outstanding Office action or requirement awaiting reply by the applicant. It is only the action by the examiner which can be suspended under 37 CFR 1.103. 1.103(d) See below in "Deferral of Examination" 1.17(i) & 1.18(d) 3 yrs. from earliest filing date for which a benefit is claimed under Title 35. 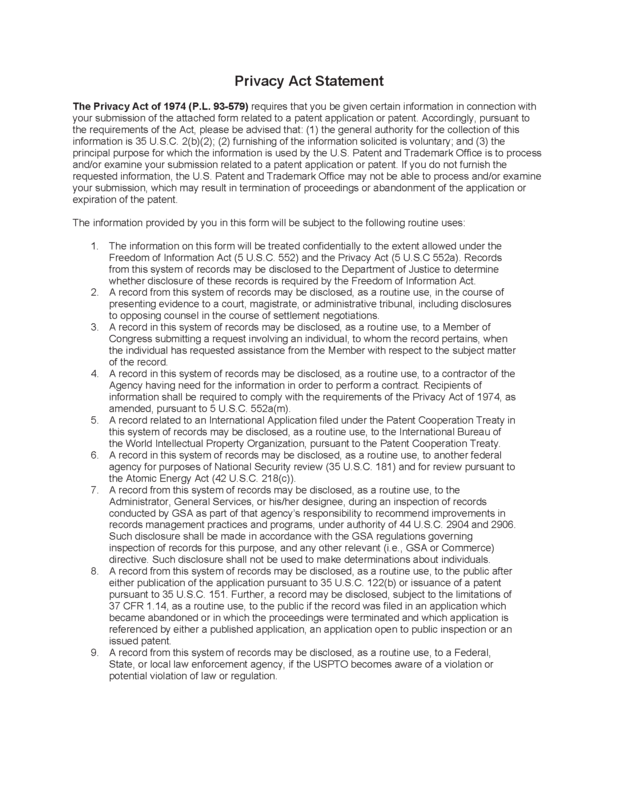 (E) the Office has not issued either an Office action under 35 U.S.C. 132 (e.g., a restriction, a first Office action on the merits, or a requirement under 37 CFR 1.105 ) or a notice of allowance under 35 U.S.C. 151. 2. In bracket 2, insert the reason(s) for denying the request. 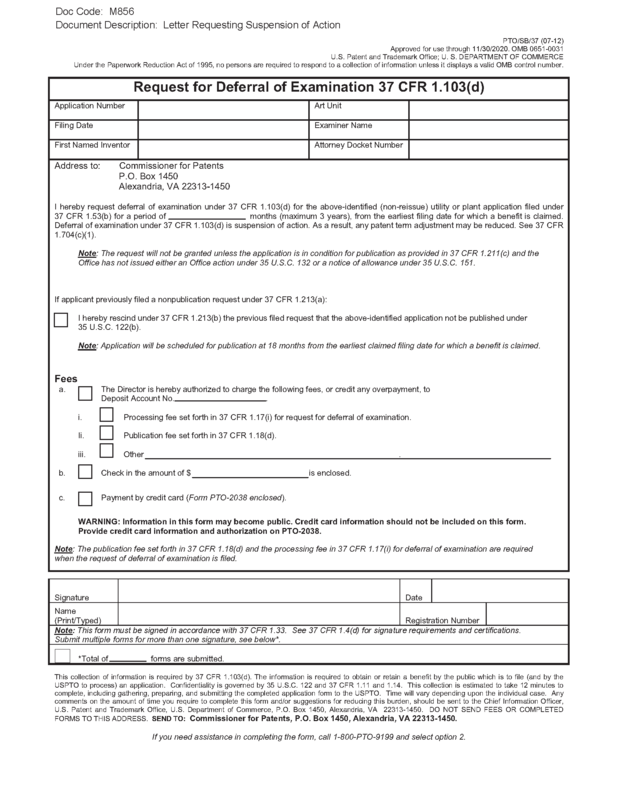 For example, if appropriate insert --The applicant has not filed a request under 37 CFR 1.213(b) to rescind the previously filed nonpublication request--; --A first Office action has been issued in the application--; or --Applicant has not submitted a request for voluntary publication under 37 CFR 1.221 --.